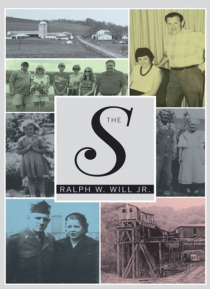 Now in his eighties, author Ralph W. Will Jr. takes a look back at his long, eventful life. In The S, he shares the details of his experiences to help others understand the value of families and the importance of treating them with understanding, love, and respect.In this memoir, starting with his birth in 1929 in Pennsylvania, Will hits the highlights of his lifebeing raised on his grandparents f… arm; working in a coal mine at age thirteen; dropping out of college and entering the army; operating his fathers appliance store; meeting his future wife, Barbara, in 1954 and marrying her in 1955; earning a college degree; being employed in a variety of jobs; raising a family; retiring in 1992; and dealing with the death of his wife in 2012.A story of a life well lived, The S narrates Wills journeythe ups and downs, the successes and challengesand shows how he was able to overcome hurdles to achieve his goals. Conteúdo alternativo sugerido: Ralph W. Will Jr.